They look spectacular, but wall gardens aren't quite as simple to assemble as they first appear. Well, they are and they aren't... According to gardeners in the know, it's all about what product you buy, how to layer plants and how well they are watered or irrigated. 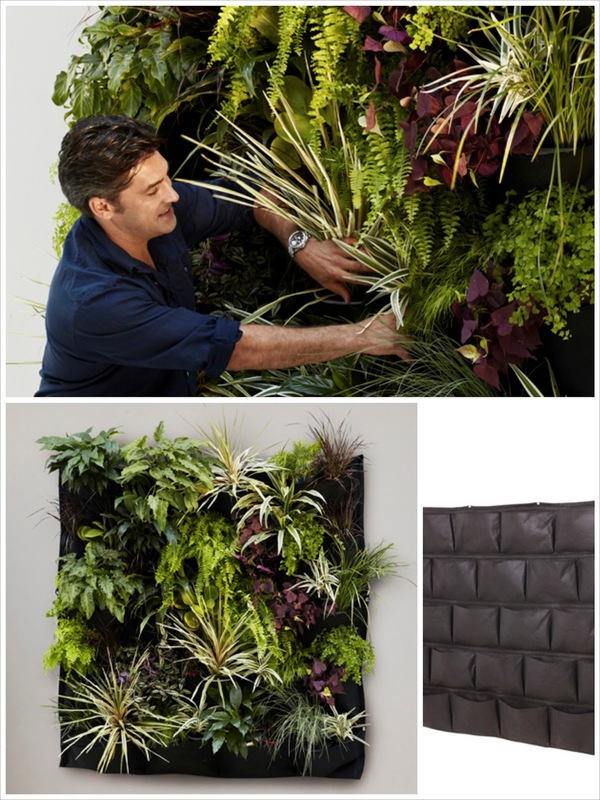 Jamie Durie's Vertical Greenwall Blanket has been designed after many years of installing vertical gardens in Jamie's commercial projects. "This new product is a simple, cost effective and foolproof way for everybody to enjoy their very own vertical garden at home," says Jamie. As part of the PATIO by Jamie Durie range, the Vertical Greenwall Blanket comes in three sizes and is available at Big W stores from November. Visit bigw.com.au for more details and Jamie's website jamieduriedesign.com for information on Jamie's other great ideas.